The terms Art Nouveau and Art Deco might seem more at home in antique shops and art galleries, yet the two trends also influenced shotguns and the effect is still evident today. Art Nouveau has its origins in France, it began after the Franco Prussian war of the 1870s and lasted till the end of World War I. As a design style Art Nouveau is characterised by motifs taken from nature: vines, leaves, soft female figures and animals. 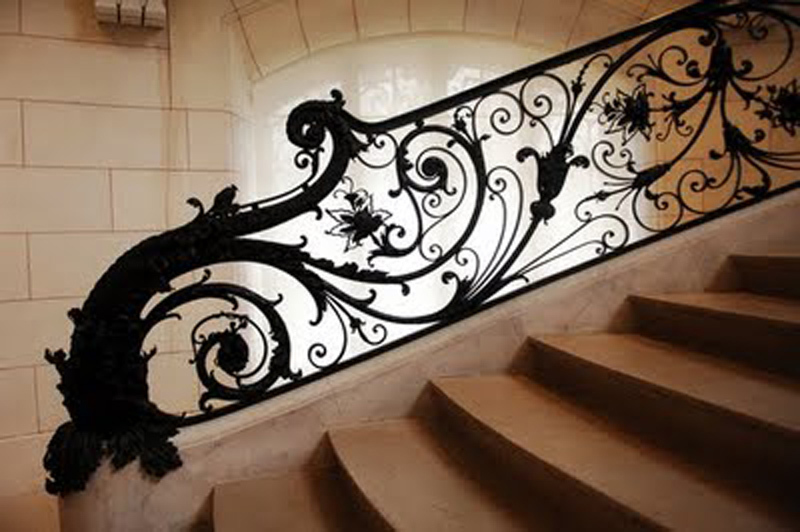 The photo of the curvy stair banister illustrates this «sweet» expression of Art Nouveau. Art Nouveau banister showing curly vine motifs. Similar motifs passed to the smoothobores of the era. The Art Nouveau period coincided with the development of the side by side shotgun and the engraving styles adopted by the makers reflect the design and decorative style of the times. 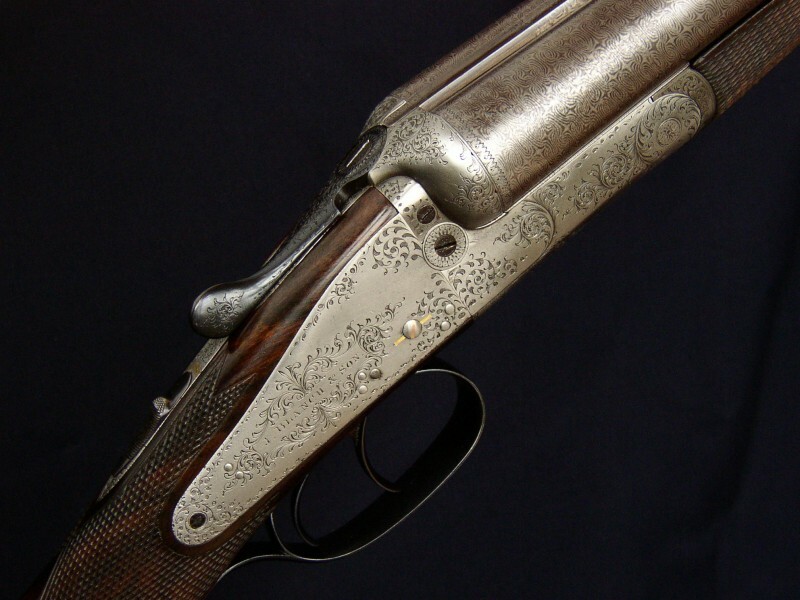 House engraving styles, the Purdey scroll, the Holland deep engraving, the Blanch creeping vines and others show how Art Nouveau dominated the styling of guns. Blanch creeping vines engraving style. Art Deco surfaced after the end of WWI. As a design style it was influenced by the industrialization of the period. It also showed influence from geometry and the discovereis of Egyptologists that caught the headlines in the 1920s and 30s, as well as the fledgling aeronautical sector. Newly developed industrial processes allowed the use of curved, aerodynamic shapes in everyday objects. Form became more imposrtant as a design element than surface embellishment. The influence of Art Deco is evident in the buildings of 20s and 30s. The most iconic Art Deco building is the Chrysler building in New York. Equally representative of Art Deco design is the Kitchen Aid mixer which survives to this day with no outward changes in its design. A quick search on the internet using the term Art Deco will bring up a fascinating array of objects and buildings representative of this style. 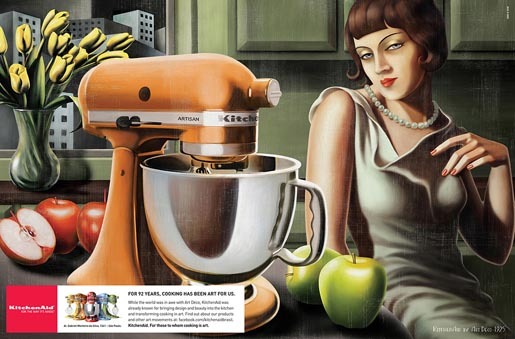 The iconic Kitchen Aid, compare those lines with the streamlined form of a Model 12! In shotguns the influence of Art Deco is evident in the curved receivers and streamlined shapes of pump shotguns. The pioneer in the shape was the Winchester model 12 of 1912, and can perhaps be seen as an early expression of the Art Deco trend. 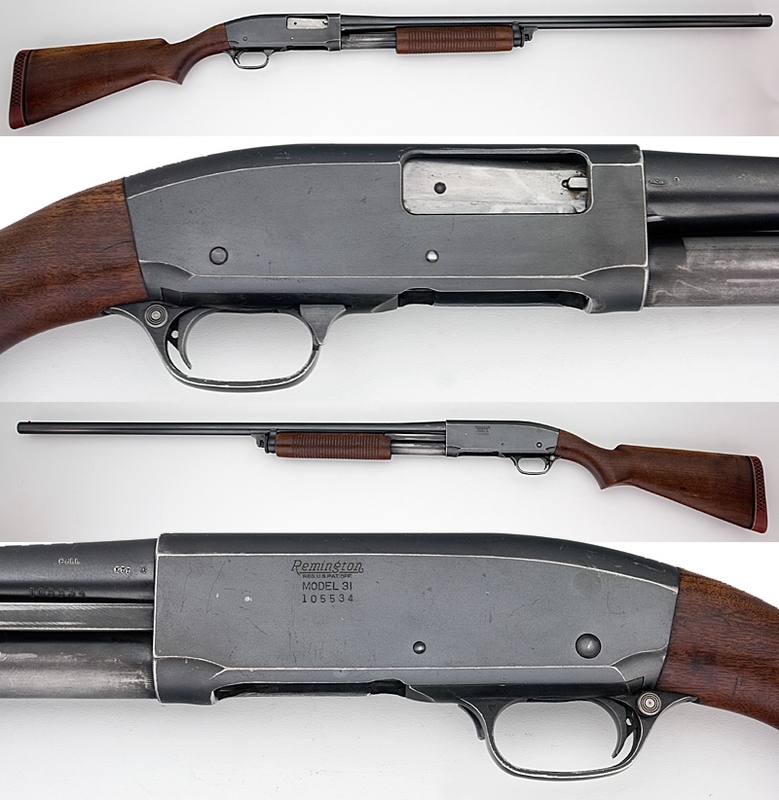 Subsequent production included, among others, the Remington model 31, Ithaca model 37, featuring the streamlined look that echoed the design trend ot the time. The lines of a Remington model 31 (from an auction site) show the Art Deco influence of the 1930s. Seeing how these run of the mill shotguns have an «official» design pedigree casts them in a new light. One can even argue that Art Deco, concentrating on the form, as opposed to the skin deep decoration of Art Nouveau, is a more profound artistic expression. And since form is their primary design element they need no superficial engraving to express their beauty! The Art Deco influence went beyond shotguns, this is a 1927 Diana air rifle, its streamlined form is representative of the style. So why aren’t collectors hoarding guns bearing art deco features? Familiarity, absence of noble provenance, low price are some of the reasons. Streamlined pump guns were made (are still made) in the thousands, millions even. Compare that to the total of 30 000 guns made by Purdeys since their founding. Being common they lack the exoticism brough on by rarity, and popular wisdom says familiarity breeds contempt. Production in the thousands per year leaves no room for order ledgers. If you are lucky you might find the year of production through the serial number of an old pump. There will be no earls, lords or baronets recorded as original purchasers and that lowers the cachet. And they are cheap. Excluding top demand models like the Model 12 Trap for instance, most prewar pumps are available for a few hundred dollars. No rise in demand will ever dry the supply and cause prices to rise by much, hence they are not seen as investment grade material. What all this means is that the savvy shotgunner can have a classic and afford to use it, enjoying what one poster at Doublegunshop said is a shotgun that «shouts out 1930s». The video shows one of less celebrated pumps of the early 20th century, the Stevens 620. It can be found at auction sites for a few hundred dollars. It is not usually ranked among the desirable examples of the pump genre, bt it is a John Moses Browning design, it has those Art Deco lines and parts are available and cheap. Sounds good!